So you want to keep a journal but don’t want to write a lot. Have I got the perfect journal for you! First, I’ll tell you that I personally keep two journals. I call one my “Daybook” and the other is my “Journal.” The Daybook contains short “here’s what I did today” stuff and not necessarily in full sentences. My Journal is a Moleskine Diary/Planner with a large page for each day. While I don’t count it as a journal, I also keep a notebook with all things collected inside (quotes, phone numbers, ideas, directions, songs I want, this and that and everything else). 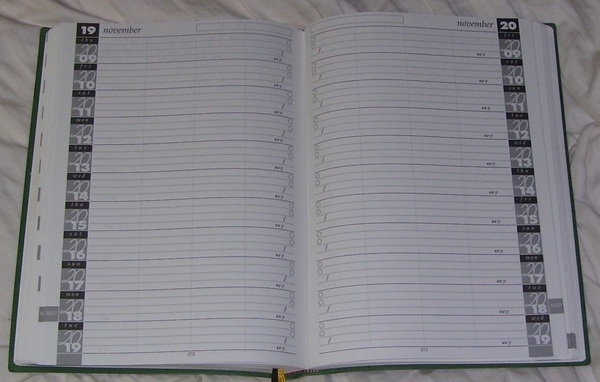 I go into great detail in my Moleskine journal, but in my Daybook, it’s strictly list of activities, events, etc. What I use for the Daybook is also perfect for those who want to journal but want to jot highlights only: I use the Journal 10+. The 10 comes from 10 years, and the + is an extra year so you can give a gift any time of the year and the new Journal 10+ owner doesn’t have to wait until the first of the year to start. There isn’t room to write long journal entries, but it’s just right for short blurbs. 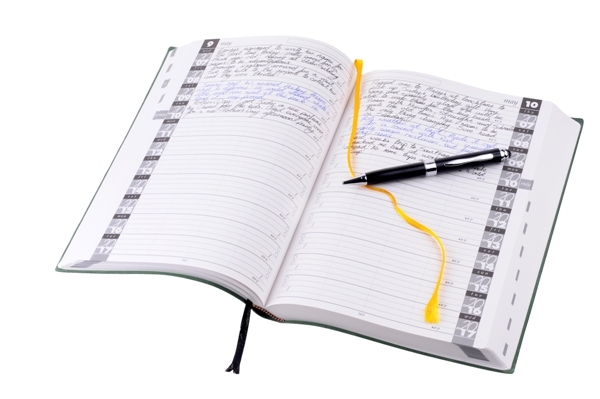 I call mine a Daybook because I list what I did that day and use it as a reference to look back at what I was doing this day 5 years ago (or whatever), it also settles more than a few arguments over when we did this or that and when. 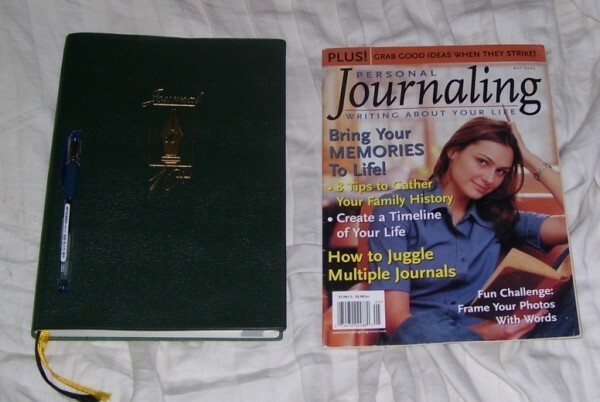 Here’s a picture of my Journal 10+ with a pen and magazine for size reference. The closed book is 10.25″ high, 7.5″ wide and 1″ thick. In one book you have 11 years of memories. I find it just right for what I use it for. The one thing that would make it better would be a leather cover, it has what they call “leatherette” which is a tough vinyl. My Journal 10+ is a 2009-2019, but they are now selling the 2010-2020 journal. If you would like to to comment, just leave message below if you’re viewing the actual post page – or – click the comment bubble in the upper right if you’re reading from the main PaperNotes page. Thanks!